Our carefully crafted, homemade tofu crust swaps carbs for a high-protein treat, making this pizza a meal you can enjoy guilt-free on any occasion. We've tried them all, and this vegan cheese melts like mozzarella to make any cheese lover nod with approval. Add onions, mushrooms, green pepper and/or tomato to customize it your way. Traditional style more your thing? Try chicken and pepperoni options for extra protein in a low-carb treat. 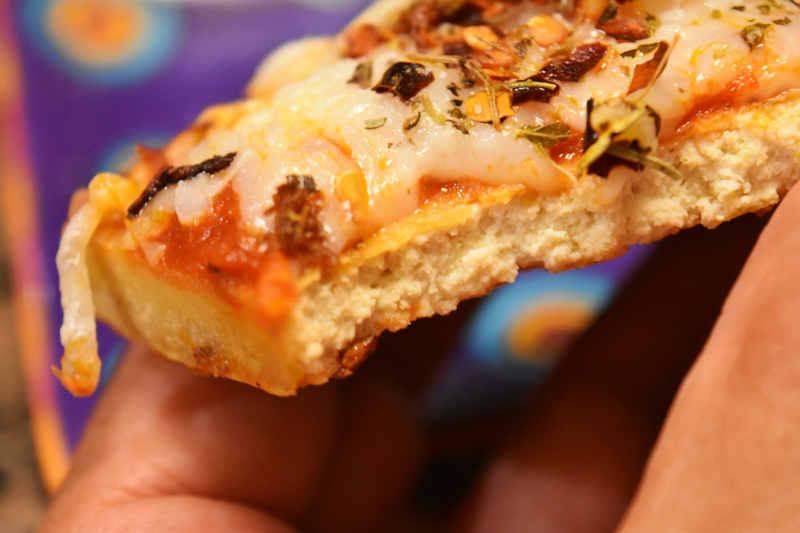 Pick Your Size: Small Pizza Bites (3”x6”), or Large ("9x9”) pizza. Pick Your Style: Vegan: daiya vegan mozzarella and veggies OR Traditional: real organic mozzarella and pepperoni or chicken. Delivery or dine-in? Order through GrubHub or give us a call at 904-379-1291and we will deliver within 10 miles! Check out more ordering options below! Health Benefits of Pizza? Yes! Preconceived notions of pizza and beer be gone! This pizza is actually good for you (although we also have the beer to enjoy with it). Created with homemade tofu we make right here by hand at Leaf & Bean, this is not your average gut-bloating pizza. No processed food. 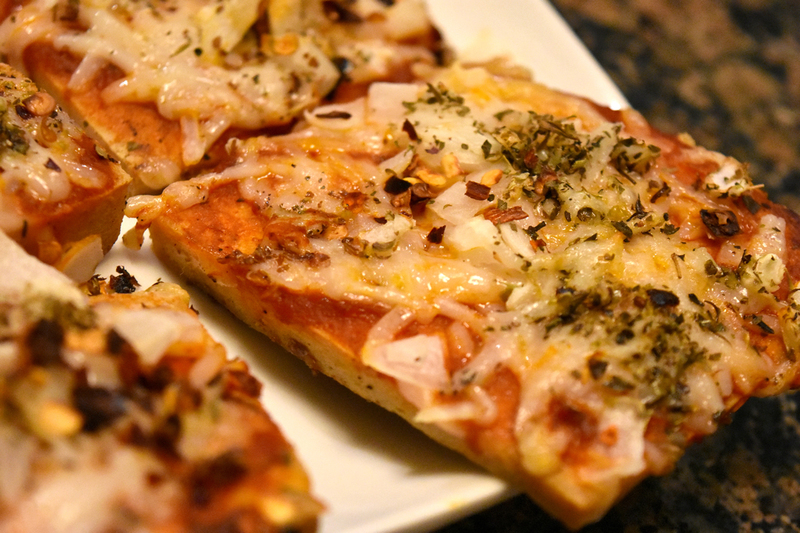 Homemade food means health here at Leaf & Bean, and pizza is no different. Organic, locally-sourced veggies provide fiber and nutrients that keep your body rock'n.Our pizza makes your stomach sing. It won’t make your stomach sick. - The star sauce, tomatoes add a lot of value to pizza with lycopene. A powerful antioxidant, lycopene can help lower levels of certain cancers, and is beneficial to heart and blood vessels. As tomatoes are cooked and heated, the lycopene levels are increased and even easier for the body to absorb. - Tofu contains all eight essential amino acids, and is an excellent source of protein. Tofu also contains high amounts of iron and calcium, copper, zinc, vitamin B1, selenium and magnesium. Yum! - DYK onions contain vitamin C and chromium, and can help regulate blood sugar, blood pressure and cholesterol? Good stuff. - Bell peppers help keep cells healthy through their high levels of antioxidants and vitamins C, B6 and A. These vitamins help support the immune system, metabolism, digestive health and good vision. - Mushrooms assist the central nervous system through their nutrients riboflavin and potassium. Both are necessary for many important functions in the body. Order through GrubHub or give us a call and we will deliver within 10 miles!